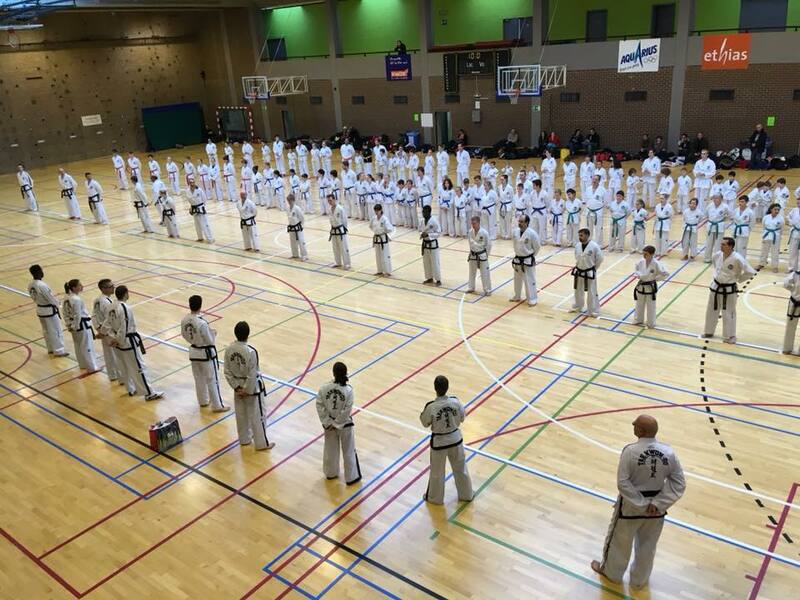 The 2017 Day of Taekwon-Do ITF-Belgium has been organized in Jambes, in the ADEPS-complex, Sunday November 19th. There were 10 instructors and 120 participants present, from all ages beginning as from 4 years on, white, coloured as well as black belts. The focus today was on fundamental movements & tul, sambo-, ibo, ilbo matsogi & pre-arranged free sparring, hosinsul and sparring. After the warming-up the participants were divided into several groups, according to their age and grade. In the end there was still a general cooling-down. The instructors for the day : Master Frank Vanberghen (VIII°), Annick Van Driessche (VI°), Virginia Dionisi (VI°), Eddy Van Damme (VI°), Patrick Crevecoeur (V°), Tom Van De Sijpe (IV°), Stefan Hendrickx (IV°), Erik Van Hoeck (II°), Esther Meulemeester (II°) and Terence Bewa (I°). It was great seeing the dedication and passion of the instructors and the motivation of the participants. All participants went home with a certificate of participation. The instructors hope to see all of you back on the next Day of Taekwon-Do, in 2018.